If you read the news, it’s easy to get depressed and lulled into thinking that people are always mean to each other. 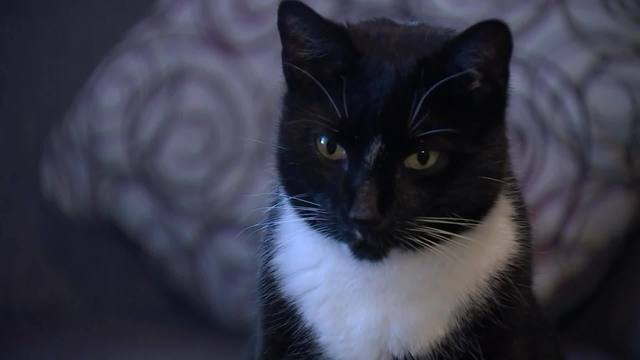 That’s why a cat in Bristol, Connecticut has a message of kindness to share with others. Tuckles the cat lives with Adam Ortiz. Every morning after breakfast the 3-year-old black cat stands by the door to go outside, button day when Tuckles returned home, Adam spotted a brand new collar around the cat’s neck with a note attached. The note said that a woman had witnessed Tuckles almost getting hit by a cat so she bought Tuckles a reflective collar to make it easier for drivers to see the cat and avoid it. Knowing that people care for cats is enough to make you realize the human race isn’t so angry at each other all the time after all. To read more about one woman’s kindness to a cat, click here.